Like humans, dogs can have a wide host of health issues from skin diseases and anxiety to arthritis and more. In order to help prevent these and other issues, a proactive and preventative approach to pet health care is necessary for long term health and wellness. A good diet and healthcare routine are essential and functional pet food ingredients that offer proven health benefits is a great place to start. So what are functional ingredients? Functional ingredients are natural ingredients that have health-promoting or energy-boosting benefits. Luckily for pets and pet owners alike, there has been a rise in the number and variety of pet food options including nutraceutical ingredients such as omega-3 fatty acids, probiotics, vitamins and more. Omega-3s are key when it comes to pet health. 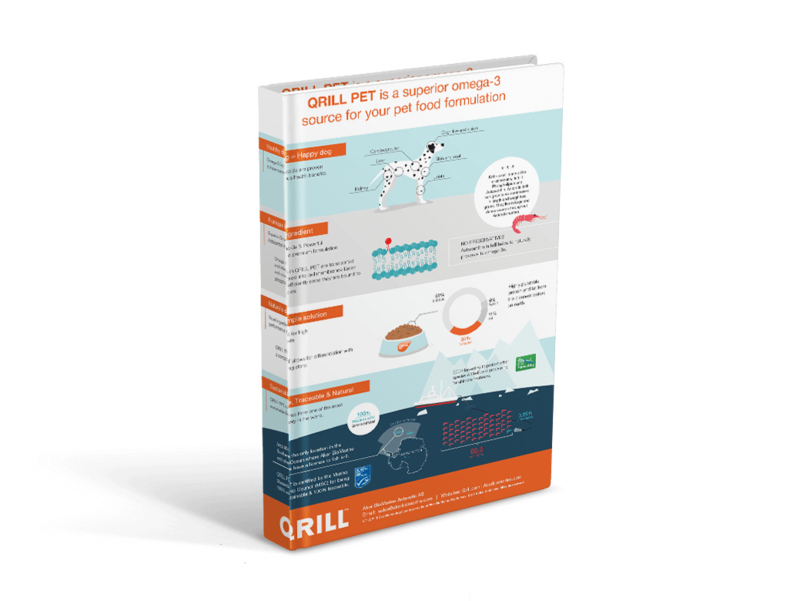 One of the more efficient omega-3 sources for pets in the market is krill meal. In terms of a proactive ingredient, krill has a powerful combination of nutrients - phospholipid omega-3s, astaxanthin, choline and marine proteins, plus it’s natural and sustainable. So why is krill considered a proactive ingredient in pet food? When your pet’s diet is rich omega-6s, health issues can occur. Omega-3s help balance omega-6s in the diet. Omega-3s have also demonstrated great health benefits for pets, including healthy organs, joints, skin and coat. In general, by feeding your pet a diet rich in omega-3s, you can help make their lives healthy, enjoyable and active.